My boo Gerald Levert passed away. I still can\’t believe it. This is one time I want \”death\” to be a rumor. When I was growing up my momma use to always play Barry White and Luther Vandross. I just didn\’t get it. All those love songs. In 1986 I heard Gerald Levert for the first time. I was in love and going through with my daughter\’s father. That\’s when I needed me some \”therapy\” music. Here it is 2006 and I swear I\’m his biggest fan. Today when I heard about his death, I was in the break room on my hour lunch when my gurl KiKi page over head and told me to dial ext 150. I called and she said Lacrease are you sitting down? I said WHAT KI-KI, because I can hear in her voice that whateva it was, it was going to be \”spooky\”. So she said again Lacrease are you sitting down? I said what Kiki tell me, she said Gerald Levert had a heart attack and died! I\’m like nooooooo, omgoodness, its a rumor. I wanted to believe so bad that it was, I wanted to wake myself up, even if it meant starting my work day over. I just can\’t believe it. Not Gerald Levert my boo! For some reason I had a feeling that it was true. I didn\’t want to cry at work. I\’m just a private person, and I wanted to punch out and be by myself. I couldn\’t think. Then to top it off, my co workers was coming up to me asking me was I okay. They were hugging me………and that\’s what took me over. I had one of those cries where you can\’t stop, my eyes were so red. I love my coworkers, because even though I met Gerald several times but didnt know him as a personal friend, they knew how I felt about him and his music, and they really comfort me. They know I can be a tough cookie and keep things inside sometimes. But not today. When I got home at 7:00 I had 14 people who called. My daughter had their names written out for me. I\’m sitting at my computer watching videos. I HAVE EVERY CD HE HAS EVER MADE! For some reason I can\’t pull them out yet. I was suppose to go with my coworkers tonight for dinner , but I don\’t feel up to it. Just feel like being alone. My boo Gerald Levert is gone home. Previous postDo you have bad habit that you need to break? 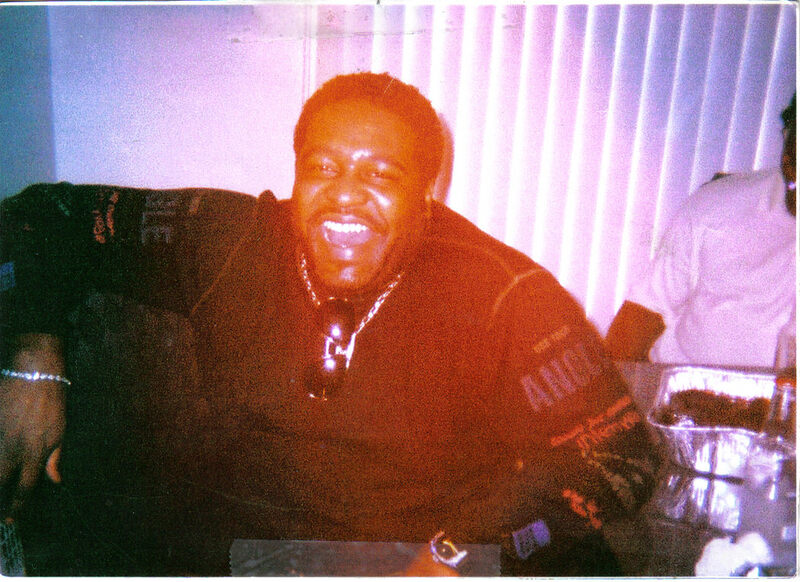 Next postMy last goodbyes to my friend ……..Gerald Levert! That was a good looking man. I pray for his family, loved oned and fans to have peace. I was very sadden to hear of his passing especially being from Cleveland and having met his dad and Walter. I was glad that the news broke in on regular tv programs to speak of his untimely death. Very Very Sad. God bless you La Crease! R. I. P. Big G.! Lacrease, thanks for doing a blog on him. I knew that you’d met him from the picture and I also knew that you, just like me and most other women, just loved him so much. He will be sooo missed. I felt like you did last night. I went home with a migraine and just curled up in the bed. Today I just listened to his music all day. I feel the loss as if he were a close friend or family member. He’s left us a legacy of music that we’ll have for a lifetime. Be blessed Lacrease. He would be missed; he was a wonderful person and singer. It was also shocking because he’s so young. My prayers go out for his family. WOW LACREASE YOU WERE REALLY BLESSED TO HAVE COME IN CONTACT WITH GERALD THE FEW TIMES YOU DID!! JUST KNOW HE IS IN A BETTER PLACE NOW…DAMN…I’M STILL IN DIS-BELIEF! Thanks for sharing your memories. God bless you girl! SIS, I CAME ACROSS YOUR PAGE, AND ALTHOUGH I AM NOT ON YOUR FRIENDS LIST I HAD TO STOP AND ADD A COMMENT. ANYONE WHO LOVED GERALD AS MUCH AS I DID IS A FRIEND OF MINES! GIRL, THIS WAS SUCH A SHOCK. I WAS RIDING DOWN THE STREET LISTENING TO WZAK, AND MICHEAL BAISDEN KEPT TALKING ABOUT GERALD IN A PAST TENSE. HE HAD NOT SAID HE WAS GONE. I KEPT SAYING TO MYSELF, PLEASE DON’T LET THIS MAN SAY THAT MY BABY IS GONE. WHEN HE SAID IT, I LOST IT! I HAD TO PULL OVER. LIKE YOU I LOVE ME SOME GERALD LEVERT, HELL I LOVE HIS WHOLE FAMILY, VERY TALENTED PEOPLE.. BUT GERALD, I HAVE BEEN WITH HIM SINCE THE BEGINNING! BACK IN 85 AND 86 I WAS STILL STUCK IN OLE SCHOOL, BECAUSE THERE WAS NOT TOO MANY ARTIST THAT WAS CATCHING MY MIND ON A MUSICAL LEVEL, UNTIL I HEARD POP POP POP GOES MY MIND, AND I HAVE LOVED GERALD FROM THAT POINT ON! I HAVE NEVER HAD THE PLEASURE TO MEET GERALD, ALTHOUGH I HAVE A GIRLFRIEND WHO DOES NOT LOVE HIM AS MUCH AS I DO, BUT HAS MET HIM ON MORE THAN ONE OCCASSION. HOW COULD IT WORK OUT LIKE THAT, I DO NOT KNOW. I HAVE HAD THE PLEASURE TO SEE HIM IN CONCERT MORE THAN ONCE, AND GERALD IS JUST AWESOME. GIRL, HIS PERFORMANCE,HIS MUSIC, HIS PRODUCING, YOU REMEMBER SECRET GARDENS.. GERALD WAS THE MAN! YOU ARE NOT SUPPOSE TO EVER QUESTION GOD, BUT I CANNOT HELP BUT TO WONDER WHY GERALD. SIS, I CRIED AS IF I HAD LOST A MEMBER OF MY OWN FAMILY, FRIDAY, AND ALL DAY SATURDAY. I DID NOT REALIZE HOW DEEP IT WAS FOR ME UNTIL THEN. A TERRIBLE LOST! RIP GERALD. YOU WILL LIVE FOREVER IN THE HEARTS OF SO MANY PEOPLE.